Coupled with the rather unsuccessful run of Windows 8 laptops and dwindling laptop sales, the laptop manufacturers are slowly but surely moving to non-windows platforms. Windows 8 has hit the wrong chord with the traditional Windows users with its tiling system and non availability of user friendly features like 'Start' button and 'Control Panel' easily. Though Windows has tried to correct it with the later updates for Windows 8 but as per the reports available, the people migrating or upgrading from Windows 7 to Windows 8 has been pretty low. 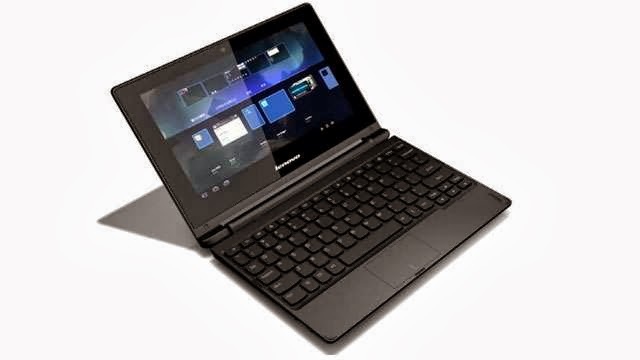 Lenovo which is one of the biggest PC makers in the world has launched its first full fledged Android 4.2 Jelly Bean powered laptop called A10. Why do you call is a laptop or notebook? Because the A10 doesn't allow the display to be removed. It has hinges which allow rotation of the screen but that is all you can do with the display. A10 features a nice Lenovo customised user interface which takes care of your everyday tasks. There are shortcuts to an app launcher, task bar, as well as a status bar for quick access to the app library and desktop. These will also let you conveniently multitask and switch between applications. A10 also has a customised File Manager software as well as a full-size ergonomic AccuType keyboard in the laptop mode. By laptop mode I mean that you can also turn your A10 in a tablet mode. 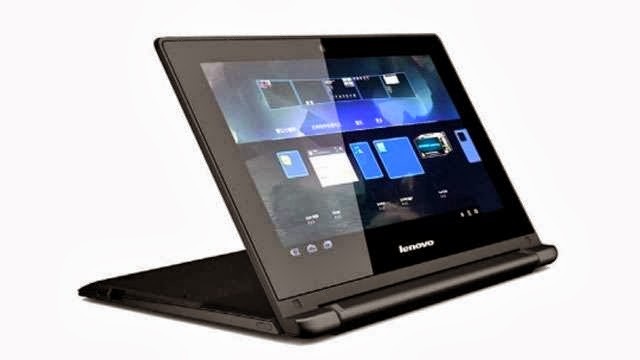 For that you can flip the Lenovo A10’s 10.1-inch HD (1366 x 768) resolution screen around 300 degrees in the stand mode and turn it into a touch based tablet for apps and entertainment. It has a stable hinge and fold-back design to keep the device steady while you use the 10-point multi-touch screen. It comes with stereo speakers and an integrated 0.3M webcam too. The Lenovo A10 is powered by an RK3188 quad-core Cortex A9 processor running at a maximum frequency of 1.6GHz, which is supposed to be the highest frequency for all quad-core ARM-based CPUs currently available. The Lenovo A10’s battery can support up to nine hours of continuous video playback. Lenovo has not divulged the priced details for its first Android laptop but for the record has said that it will vary from region to region. However the reports doing round on the web suggest tha the Lenovo A10 is likely to be priced at $340 (Rs 21000.00 approx.). For the purist there may be a very thin line between what you call a laptop or netbook but A10 is sure fire netbook in my opinion. If it clicks with the users, Microsoft may have a very bleak future indeed given that its Windows 9 won't be available till July 2015.